Fringed by golden beaches, peppered with World Heritage Sites and home to the Middle East's premier party city, Lebanon has all the hallmarks of a classic traveller's destination. Yet the reality, alas, is not quite so rosy. Still recovering from a brutal civil war (1975-1990), the conflict in neighbouring Syria is spilling across the border and the Bekaa Valley remains a stronghold for the militant group Hezbollah. Suffice to say, cautious tourists have stayed away. Nevertheless, for now, a fragile peace prevails in Lebanon, which extends a warm welcome to foreign visitors. Nowhere is this clearer than in the capital, Beirut, a friendly party town sandwiched between the Mediterranean Sea and the foothills of Mount Lebanon. Characterised by its affable inhabitants, dramatic coastline and delicious cuisine, bustling Beirut sits at the crossroads between Europe and Arabia. Influences from east and west abound – it is not uncommon to hear the call to prayer competing with DJs in some of the livelier parts of town. Although buildings still bear the scars of past conflicts, the city is a forward-thinking capital where the biggest danger nowadays seems to be the traffic – crossing the road can feel like an extreme sport. Though small in size, Lebanon boasts five UNESCO World Heritage Sites including the city of Byblos, one of the oldest Phoenician ports, and the haunting remains of Baalbeck in the Hezbollah-run Bekaa Valley, one of the finest examples of Greco-Roman architecture in existence. Other highlights including the magnificent cedar forests and Christian monasteries of the Holy Valley, as well as the ancient cities of Tyr and Tripoli, home to one of the oldest seaports in the world. And if that's not enough, there's always skiing in Mount Lebanon. Granted, it might not be an obvious place to hit the slopes, but there are few places in this world that can offer sun, sand and skiing in one day. 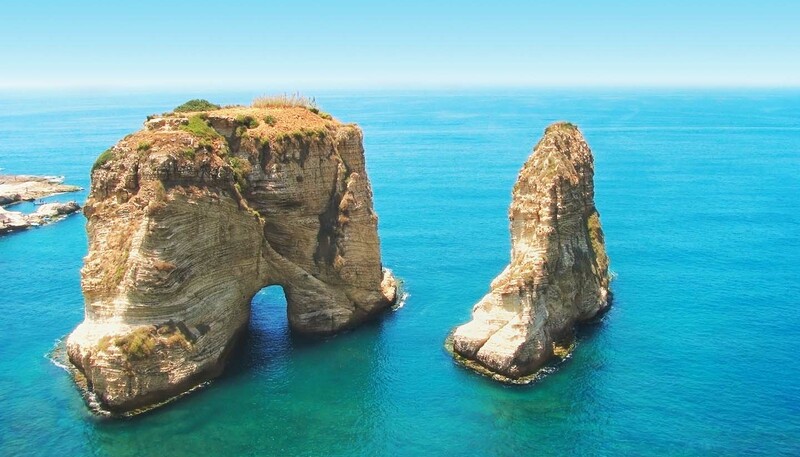 But then Lebanon is not your average destination. 10,452 sq km (4,036 sq miles). President Michel Aoun since 2016. Prime Minister Saad Hariri since 2016.
all other areas of Akkar district between 5km from the Syrian border and the Aabdeh, Halba and Qoubaiyat highway, including the towns of Halba and Qoubaiyat. south of the Litani River except the main Naqoura-Tyre-Saida (Sidon)-Beirut highway and all areas to the west of it. On 25 February 2019 the UK Government announced that it will ask Parliament to proscribe the political wing of Hizballah under the 2000 Terrorism Act. Hizballah is a Lebanese political party and armed group. Following the announcement, you should avoid large crowds, gatherings, and any related protests or demonstrations, check local media and keep up to date with Travel Advice. Terrorists are very likely to try to carry out attacks in Lebanon. You should be vigilant at all times, avoid crowds and crowded places and follow the advice of the Lebanese authorities. There are reports of criminal gangs operating in parts of the Bekka, especially northern Bekka, involved in drug cultivation and smuggling. You should follow the advice of security agencies, and be particularly conscious of your security if travelling in northern Bekka. There have recently been protests targeted at UN peacekeepers in south Lebanon, which have turned violent. You should avoid large crowds and political gatherings. Certain groups, including Hizballah, retain weapons that are beyond state control. There are unexploded ordnance and land mines in many places. You should avoid travelling away from established paths, especially when hiking. This is particularly a concern in southern Lebanon. A conflict with Israel could spark with little warning with a rapid escalation in violence - you should keep up to date with the news and this travel advice while travelling. The security situation in parts of Lebanon can deteriorate quickly. Keep up to date with developments, be vigilant, follow local advice and avoid any protests or demonstrations. Roads can become blocked due to protests. In the event of widespread disturbances or a deterioration in the security situation, there may be limits to the assistance that the British Embassy is able to provide. You can read our crisis overseas page for further information and advice, including sections on what you can do to prepare effectively, what you should do in the event of a crisis abroad, and how we can help you. There’s a heightened risk of terrorism against aviation. Additional security measures have been in place on flights departing from Lebanon to the UK since March 2017. You should co-operate fully with security officials. Restrictions on carrying large electronic devices in the aircraft cabin, introduced as part of these measures, have now been lifted for airlines operating from airports in Lebanon. For more information and advice about what items you can take into the cabin on your flight from Lebanon to the UK, contact your airline or travel company. If you’re abroad and you need emergency help from the UK government, contact the nearest British embassy, consulate or high commission. Consular support is severely limited in parts of Lebanon where we advise against all travel and limited where we advise against all but essential travel. The risk to tourists from petty or violent crime is moderate. There is a risk of vehicle crime and bag snatching. Take sensible precautions to protect yourself and your belongings. There have been incidents of armed robberies and physical attacks against passengers in shared taxis (known locally as service taxis) with passengers being attacked by either the driver or other passengers. Don’t use shared taxis or taxis hailed on the street. Only use taxis from recognised companies. Hotels can advise on firms with cars that are recognised as being safe and well maintained. In December 2017, the Lebanese Interior Minister advised people in Lebanon not to use Uber taxis, saying “I call in your name on all Lebanese not to use this Uber transport service because we do not consider it to be safe and there are taxi offices to use instead”. The full statement (in Arabic) is available on his official Facebook page and Twitter account. There have been clashes in recent years between Lebanese security forces and militants in Tripoli (Trablous) and in areas north of there, including in Minyeh and Banine resulting in civilians, soldiers and militants being killed and/or injured. Palestinian refugee camps are volatile environments where the Lebanese state has limited capacity to impose law and order. There has been a long pattern of violent clashes in particular in Ein El Helweh camp near Saida (Sidon) in southern Lebanon. There is a UN peacekeeping presence in the area south of the Litani River. Although de-mining operations have been carried out unexploded ordnance, including cluster bombs, remain in remote areas. There’s a military checkpoint located approximately 7km south of Tyre on the Naqoura-Tyre-Saida (Sidon)-Beirut highway. A pass from the LAF office in Saida (Sidon) is necessary to continue your journey further south towards the Israeli border. However, as the office is located in an area of Saida (Sidon) to which the FCO advise against all but essential travel, you should carefully consider whether your need for a pass is essential before you travel. Land mines are present in Lebanon and are not always clearly marked. Only use well-travelled tracks and do not stray from their edges. Avoid remote abandoned properties. Use local guides and seek local knowledge if you’re unsure. Roads, including the Beirut airport road, are subject to closure without notice. You must hold either an International Driving Permit, which must be certified by the Lebanese authorities on arrival, or a Temporary Local License to drive in Lebanon. Temporary Local Licenses are likely to be more time consuming and expensive than an International Driving Permit. Driving standards are poor and the accident rate is high. Traffic lights are not always observed. It may be better to hire a car with a driver if you’re inexperienced. You must wear a seat belt (if fitted). Avoid travelling at night outside towns if possible. Vehicles with diesel engines are banned. Carry ID with you at all times and be prepared to stop at check points to show your papers. The army have set up check points on major and minor roads. Celebratory gunfire into the air is common throughout Lebanon, including in response to speeches and messages by political leaders. If you find yourself in an area where there’s celebratory gunfire, take cover in a building and move away from windows. The security situation can deteriorate quickly. Demonstrations and other forms of civil unrest can occur at short notice and often turn violent. Lebanese issues or regional and international developments can have an impact on the local security situation. Monitor local media and avoid all protests. Security and safety standards at stadiums and venues in Lebanon may be lower than in the UK. Take care if you’re planning to attend events with large numbers of spectators. Terrorists are very likely to try to carry out attacks in Lebanon. Islamist extremist groups will seek to target the Lebanese state, security services, and civilians, and have the intent to target foreigners inside Lebanon. Attacks could therefore take place in areas visited by foreigners, in Beirut and elsewhere, including hotels, restaurants and bars, markets, tourist and religious sites, large outdoor events, western-style shopping centres and supermarket chains. If you plan on visiting these places, you should make sure your security arrangements are sufficient. There is also currently a heightened threat of terrorist attack globally against UK interests and British nationals specifically, from groups or individuals motivated by the conflict in Iraq and Syria. Politically motivated terrorist attacks also remain likely. A number of such attacks have taken place in the southern suburbs of Beirut. on 14 January 2018, a small explosion occurred near Al-Bustan Street in Saida (Sidon). One person was injured. on 28 and 29 June 2017, 4 attackers exploded suicide belts in a refugee settlement in Arsal. Follow-up security investigations are ongoing. on 31 August 2016, an explosion at the Ksara roundabout near Zahle resulted in one death and 11 injuries. on 27 June 2016, a series of suicide bomb attacks in Al Qaa resulted in 5 deaths and 21 reported wounded. on 12 April 2016, a car exploded outside Ain El Hilweh Palestinian refugee camp in Saida (Sidon), causing at least 1 death. on 12 November 2015, there were explosions in Burj-al-Barajneh, in the southern suburb area of Beirut, 43 people were killed and 239 injured. Lebanese security authorities are at a high state of alert and are conducting security operations across Lebanon. You should be vigilant at all times and follow the advice of the Lebanese authorities. Avoid large crowds, demonstrations, political gatherings and the use of shared public transport. If you notice or suspect a security incident is underway, you should immediately leave the area. Suspects have detonated explosions to avoid arrest. Keep clear of affected areas in the immediate aftermath of any attacks. Bystanders have been killed in a number of terrorist attacks in recent years. Monitor media reports and keep up to date with the travel advice covering your location. Remain alert to both regional tensions given Lebanon’s links and proximity to Syria, and to the potential for sectarian attacks. There’s a threat of kidnapping in Lebanon. The Lebanese authorities have warned that foreigners, including westerners could be targeted by kidnappers and other militant groups. Criminal kidnappings have occurred in the Bekaa Valley, most recently of a Saudi national in November 2017, the Syrian border regions and Beirut, but could take place anywhere in Lebanon. Terrorist kidnappings are also possible and Daesh and other terrorist groups view those engaged in humanitarian aid work or journalism as legitimate targets. The long-standing policy of the British government is not to make substantive concessions to hostage takers. The British government considers that paying ransoms and making concessions increases the risk of further hostage-taking. Lebanon is part Muslim, part Christian. You should respect local traditions, customs, laws and religions at all times and be aware of your actions to ensure they do not offend, especially during the holy month of Ramadan or if you intend to visit religious areas. In 2018, the holy month of Ramadan is expected to start on 15 May and finish on 14 June. In many areas you will find dress codes more relaxed than in other countries of the region, but you should still dress modestly when visiting religious sites and when it’s clear that local people expect it. Possession, use and trafficking of illegal drugs including small quantities are all serious offences in Lebanon. You can expect a prison sentence if you are caught. Photography should be limited to tourist sites. Photographing military sites may result in your arrest. The Lebanese Criminal Code includes a general provision concerning ‘every sexual act against nature’. Lebanese courts consider that this provision includes homosexuality. A criminal offence under this provision is punishable by a prison sentence of up to a year. See our information and advice page for the LGBT community before you travel. One of the most common requests for consular assistance in Lebanon is from British mothers seeking help in overturning travel bans placed on their children or themselves by their fathers or husbands. Lebanese family law is very different from UK law and particular care is needed if child custody becomes an issue. If you have concerns about child custody you should seek advice before travelling to Lebanon about ‘travel bans’ that can be imposed by male heads of family. Even if you or your child holds a British passport you may be subject to Lebanese laws and regulations. Any child travelling from Lebanon without their father (even if the mother is accompanying them) may need to provide proof that permission to travel has been given by the child’s father. If you’re a British national involved in international parental child abductions or custody disputes, you should contact the Foreign and Commonwealth Office (FCO) for consular assistance. This leaflet on International Parental Child Abduction includes information on how the FCO can help, and contact details. The FCO strongly advises against attempting to remove your child yourself, as this may be considered abduction (or ‘re-abduction’). This may be illegal and can put your child at risk. British citizens can normally apply for a free single entry tourist or family visit visa on arrival. 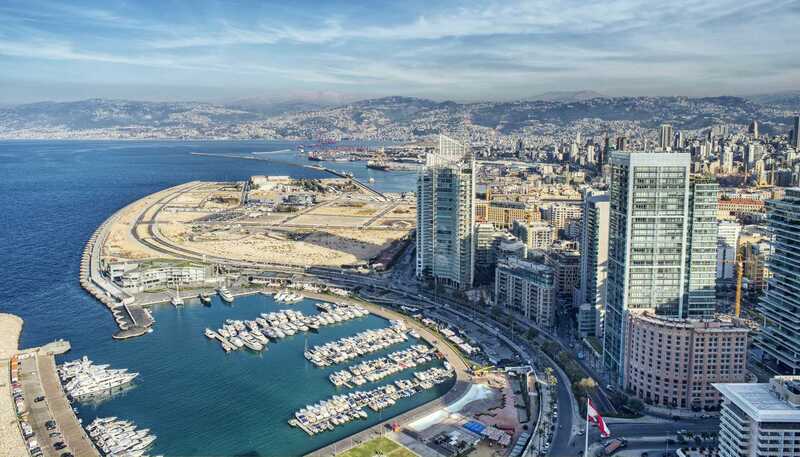 British Overseas Citizens and British Protected Persons will need to get a visa before travelling to Lebanon. Persons of Palestinian origin may also require a visa before travelling, or may be required to carry additional documentation with them when travelling. Entry requirements are subject to change, so you should check with the Lebanese Embassy before you travel. Overstaying without the proper authority is a serious matter. You may be refused permission to leave until a fine has been paid. Your passport should be valid for a minimum period of 3 months from the date of entry into Lebanon. UK Emergency Travel Documents (ETDs) are accepted for entry, transit and exit from Lebanon. If your passport is stolen, you’ll need to report the theft to the police in the area where it took place and obtain a police report before an ETD can be issued. If your passport has been lost, you’ll need to go to the nearest General Security office and get a certificate of loss before an ETD can be issued. These are mandatory steps in all cases where the original passport showing the entry stamp into Lebanon isn’t available. Once an ETD has been issued to you, you’ll need to visit the General Security office in central Beirut to obtain an exit visa before you can depart. You should factor the time this will take into any new travel plans. Medical treatment in Lebanon can be expensive. Most hospitals are well equipped. Doctors are generally well qualified though nursing standards vary. The majority of medical staff speak French and English. Make sure you have adequate travel health insurance and accessible funds to cover the cost of any medical treatment abroad and repatriation. Lebanon is in an earthquake zone, but there have been no damaging tremors in recent years. The US Federal Emergency Management Agency has advice about what to do before, during and after an earthquake. Flights to the USA from Lebanon do not allow any electronic devices larger than a smartphone in carry-on baggage. These restrictions prohibit any laptops, tablets, electronic game units and e-readers larger than a smartphone. All electronic items of this size should be carried in hold luggage. For more information visit the Department of Homeland Security website.